Facial Oils have been gaining a lot of hype on Pinterest and Instagrams and are becoming more and more common on Sephora and Walgreens shelves. It seems that the all-natural facial oils are completely worth the buy. Sure, it’s an extra step to add to your daily beauty regimen, but the benefits are well worth the effort. Despite of many facial oil choices out there, it is extremely rare to find a good-quality herbal or ayurvedic facial oil remedy that is really effective on skin and free of chemicals or side effects. Many natural face oils that I tried resulted either in acne breakouts or greasy skin. Some of these oils, despite of 'their all-natural' claims, were found to include chemicals and additives as well. Not long ago, when searching for Ayurvedic face oils I came across the Kesaradi Oil by iYURA and I am glad that I did. 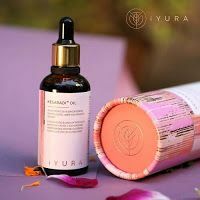 The iYURA Kesaradi oil is a facial oil that is composed of medicinal Ayurvedic herbs, such as Saffron, Rose, Turmeric and Sesame oil, that have been known to treat many people with various ailments throughout the Ayurveda history. The Kesaradi oil is also free of odd chemicals and is extremely safe to use. Kesaradi Oil is becoming very popular because of how effectively it works, and the fact that it is an authentic remedy that not only improves your facial complexion, but it also has anti-aging and antiseptic properties to help keep your skin healthy. That is why, as evident in its customer reviews, people absolutely love the iYURA Kesaradi Oil. Now that you have heard enough intriguing aspects of the Kesaradi oil, let's dig deeper into how beneficial it really is, and why it is so appealing. What Is Kesaradi Oil And How Can It Help? iYURA Kesaradi Oil is a potent and natural skin treatment that is mostly composed of medicinal herbs that have been used in the Ayurvedic practice for thousands of years. In fact, this natural skin treatment is based on the formulation of the Ayurvedic treatment called Kumkumadi Oil, which has been referred to as the beauty elixir. The Kesaradi Oil by iYURA is formulated to provide the glow to your skin and make your skin smooth and radiant. You will also find that once you use this Ayurvedic treatment, your skin's texture will improve drastically and that this is one of the best moisturizers that you can get your hands on! That all said, you may be wondering what makes the Kesardi Oil so special? As it was already mentioned, the Kesaradi Oil is made up of the formulation that the Kumkumadi Oil that has been used in Ayurveda history for thousands of years to treat skin disorders. And, it is designed with a western touch which makes the Kesardi Oil a little different and an improvement over Kumkumadi oil. The herbs that were used in the recipe of the Kumkumadi Oil could cause staining and the smell of it was known to be pungent. However, the Kesaradi Oil does not cause staining and has a very pleasant fragrance that is light and calming. Now that we are on the topic of the medicinal herbs that the Kesaradi Oil's recipe is composed of, let's now talk about them and how they have been used to treat many skin ailments. 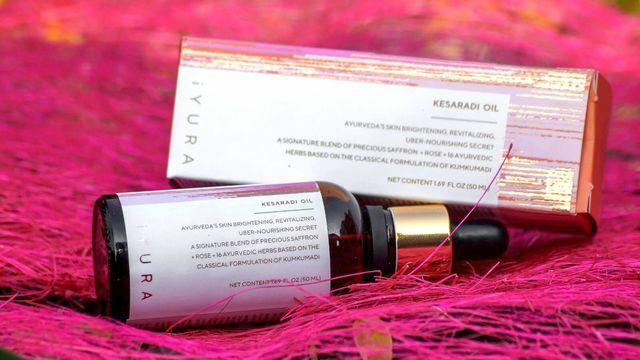 The Kesaradi Oil by iYURA is composed of saffron, rose oil, turmeric, and other Ayurvedic herbs that were used in the formulation of the Kumkumadi oil. All of these ingredients are natural and have been used among Ayurvedic practitioners for so many years to treat many ailments which include skin disorders of all types. Let's now take a look at each medicinal herb, and this is the time to learn about the healing properties they contain. The medicinal ingredient that is featured in the Kesaradi Oil is saffron. 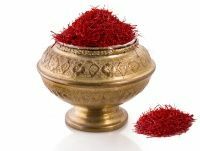 The one medicinal herb that has been used among Ayurvedic practitioners for a long time is saffron, because it has so many excellent health benefits. According to WebMD, saffron helps moisturize dry and itchy skin naturally, and has many other benefits as well. This herb has also been known to treat insomnia, as well as digestive issues, blood circulation, and many women take it to help relieve PMS symptoms. Saffron is a very expensive herb because of the fact that requires a lot of labor to extract the beneficial components of the herb. Many Middle Eastern cuisines uses saffron as a spice, and it is very strong but appealing. Saffron works well with the other ingredients in the Kesaradi Oil such as the rose oil. 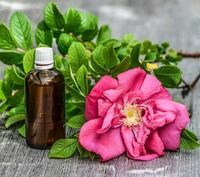 Rose oil has many fantastic benefits which includes the lovely aroma that comes with it, however, this essential oil is an important component of why the Kesaradi Oil is so special. According to Very Well Health, rose oil is known to help fight off bacteria and viruses, and is a natural antibiotic. It also sedates inflammation, and treats wounds. Additionally, it is a natural self-esteem booster and antidepressant. The other amazing factor about rose oil is that it is an aphrodisiac which is largely due to the beautiful fragrance that it provides. And, it works very well with the other ingredients in this product such as turmeric. 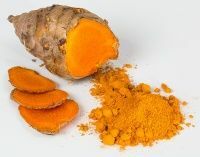 Turmeric is a spice just like saffron that has many healing properties, and this is why this herb has been used by many practitioners throughout Ayurveda history to treat a variety of ailments. According to Healthline, turmeric is known for its anti-inflammatory properties and is loaded with antioxidants to help repair cell and tissue damage. This herb has been known to treat many brain disorders as well, and improves brain function. That said, turmeric helps you stay alert and helps improve your memory. This fantastic herb is a great component in the Kesaradi Oil, and it works very well with the other ingredients as well such as sesame oil. 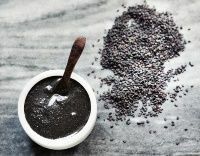 Black Sesame oil is an important component of this product because it offers so many benefits that promote healing. According to LiveStrong, sesame oil is not only full of antioxidants but it is an excellent treatment for skin disorders, and is excellent for your mental health. This ingredient is a very important component of this iYURA product because of how it offers so many healing properties to skin disorders. And, it works very well with the other ingredients such as Indian barberry. 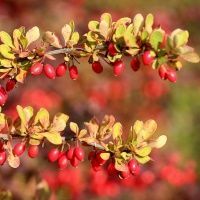 Indian barberry is one of the most potent medicinal herbs that has been used by Ayurvedic practitioners throughout history. According to Very Well Health, Indian barberry has been used to fight off bacteria and fungus because it is a natural antibiotic and antifungal treatment. Because of its antibacterial and antifungal properties, this herb has been included in the formulation of the Kesaradi Oil. Indian barberry has been known to treat various digestive issues as well, and helps improve blood circulation. Indian barberry is one of the most healing medicinal herbs that is used in the formulation for this product, in addition to licorice. Licorice root, which is also known as the sweet root because it is a natural sweetener in many candies has plenty of health benefits. 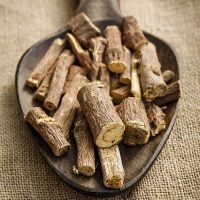 According to Healthline, licorice root is known for its anti-inflammatory and immune-boosting properties. Licorice has been used throughout Ayurveda history to treat many gastrointestinal disorders as well. However, it was included in this formula due to the fact that it is a powerful anti-inflammatory treatment, and that is excellent to help repair damaged skin. It works fantastic with with Indian Madder as it helps magnify it’s healing properties as well. 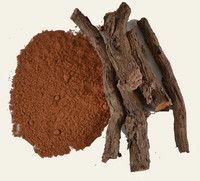 Indian Madder is a potent herb that has been used by Ayurvedic practitioners for thousands of years to treat many ailments. According to WebMD, Indian Madder is known to treat blood disorders, urinary tract disorders, and bruises. This herb also has many healing properties when it comes to repairing damaged skin. Because this herb is extremely strong, a small amount is added in the formulation of the Kesaradi Oil. 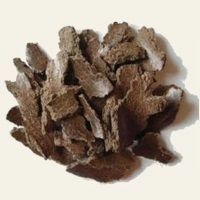 Another potent herb that has been used throughout Ayurveda history that it works well with is Indian bark. Indian bark or cinnamomum tamala is a medicinal herb that has been used by Ayurvedic practitioners for a very long time to help ease cold and flu symptoms. According to Calorie Bee, Indian bark has been known to treat headaches, kidney disease, nosebleeds, and joint pain. This herb was added to the mix because it not only helps heal damaged skin as well, but your skin will feel fantastic because of this herb alone. The Kesaradi Oil is composed of many other healing and natural ingredients as well, such as Sacred Lotus. Sacred Lotus has been used among Ayurvedic practitioners for many years to treat so many health issues because it has so many incredible benefits. 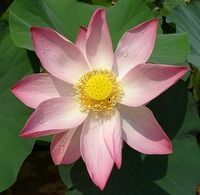 According to Healthline, lotus has been used to treat inflammation, prevent acne, lower blood sugar and blood pressure, and has helped women with regulating menstruation. The fact that the lotus has been known to treat inflammation and to prevent acne are two of the reasons why this herb was included in the formulation of the Kesaradi oil. That said, not only does it prevent or treat acne, but it plays an important role in improving facial texture. In addition to this medicinal herb, the beautyberry is also in this formulation to help enhance its effects. Beautyberry is another medicinal herb that has been used throughout Ayurveda history to improve people’s general health. According to Dr. Health Benefits, beautyberry is loaded with antioxidants, and it has been known as a powerful insect, bacterial, and fungal repellant. Additionally, it is an excellent skin lightener as well. The effects of the beautyberry will not only help your skin lighten, but it will help prevent bacteria and fungi from entering your pores. This way, it is helps reduce your chances of ending up with acne. It also works well with the flame of the forest. 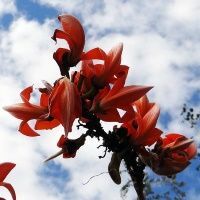 Flame of the forest is another medicinal herb that has helped treat people with various conditions throughout Ayurveda history. According to Health Benefits Times, beautyberry has been known to treat anything ranging from fertility, digestive disorders, and skin disorders. Additionally, flame of the forest is a natural antiseptic so it keeps your skin bacteria, virus, and fungus free. That is one of the reasons that this medicinal herb was included in the composition of the Kesaradi oil. It enhances the effectiveness of the other ingredients in the formulation, which includes the banyan tree. Banyan tree has been known to provide so many incredible health benefits as this is another herbal remedy that Ayurvedic practitioners has used for treatments for various ailments. According to Only My Health, the banyan tree has been known to treat digestive, fertility, dental, chronic pain, and skin disorders. In fact, banyan tree has been known to be useful when it comes to mole removal. And, it is a potent component of the Kesaradi oil formulation just like vetiver grass. 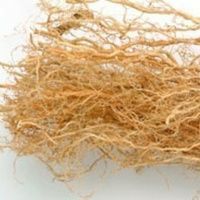 Vetiver grass has been known to treat many conditions, and even doctors that practice medicine have even used this Ayurvedic herb to treat their patients. According to WebMD, vetiver grass has been there to help women with fertility issues, has helped people reduce anxiety and stress, and is an excellent skin treatment as well. In fact, it is a great moisturizer and has helped treat people with dry skin. Additionally, it is a skin lightener and has been known to treat dark spots. Vetiver grass is an important component of the composition of the Kesaradi oil. And, the other medicinal herbs that are included in this formulation that treat similar ailments are the sweet flag herb, black mustard, Symplocus tree, and rose chestnut. There is also water in the formulation of the Kesaradi oil to help with hydrating and moistening skin, and there is also a dash of cow’s milk. Cow’s milk has been added to the formulation of the Kesaradi oil because the lactic acid from it helps lighten skin and reduce pigmentation, according to LiveStrong. That said, the cow’s milk among the medicinal herbs that have been used in Ayurvedic medicine to treat many ailments which include those that affect the skin is what makes this Kesaradi oil so potent and unique. Now that you are aware of the ingredients that are in the Kesaradi oil, you are likely wondering how all of these ingredients mixed together could help your facial skin. ● Brightens skin that has been dull - If your complexion has been dull, then this product will brighten up your skin and tone thanks to the beautyberry and the cow’s milk in the formulation. The other great thing about it is that you are using natural ingredients to make your facial skin appear radiant. ● Makes your skin smooth - If your skin has had a bumpy texture due to the scarring and the pores that are exposed, this product thanks to all of the ingredients mixed together will smoothen your facial skin and give it a pleasant texture. ● Your complexion improves and becomes luminous - Most of the components of the Kesaradi oil have properties that will not only improve your complexion but will cause it to be a lot brighter. Not to mention, your complexion will improve so much that you will have that youthful look restored. ● Moisturizes dry skin - You can kiss goodbye to dry and itchy skin, because the Kesaradi oil contains moisturizing ingredients that will keep your skin hydrated. Additionally, the itching will be reduced a great deal, and your skin will be a lot healthier. ● Improves self-confidence - Let’s face it. If your facial skin is not healthy, and your complexion is poor, that is going to have an effect on your self-confidence. However, once your skin appears healthy, smooth, and bright, you will be a lot more confident, and you will feel great about your facial appearance. Now that you are aware of how the Kesaradi can help you, you don’t want to wait to buy the product. That said, if you are ready to purchase this, you will be delighted to know that the instructions for applying the Kesaradi oil is very straight forward. Applying the Kesaradi oil to your skin is extremely easy. All you need to do is to take 2 to 3 drops of the oil and put it in your palm. Then you are going to rub it around while you gently massage in a circular and an upward position onto the neck and face. You are going to want to do this every morning and every evening after toning and cleansing your face. If you want to use a Kansa wand to apply the Kesaradi oil on your face and neck, then you will need to add 2 to 4 drops of it. Then use the wand to massage your neck and face in a circular motion and in to and fro as well. Be sure to complete one side of the face first before you move onto the other. The instructions on how to use this product is so incredibly simple. However, before you rush in and decide to purchase the Kesaradi oil, you are going to need to know a few important pointers before you do. If you are unsure whether or not you have allergies to any of the ingredients in the Kesaradi oil, then you will want to get a referral from your doctor to be tested by an allergist. Or, you can always do an allergy patch test to see if there is any evidence of allergies. It is also advisable to talk to your doctor before purchasing this product if you have never tried any of the ingredients that are in the formulation of the Kesaradi oil. Especially if you are taking medication, and you want to make sure that the herbs will not cause an interaction. The other thing to consider is that even though this is a natural product, it is not vegan because it contains cow’s milk. Another consideration to make is that if you purchase this product, you must use it within 24 months of its manufacturing date. 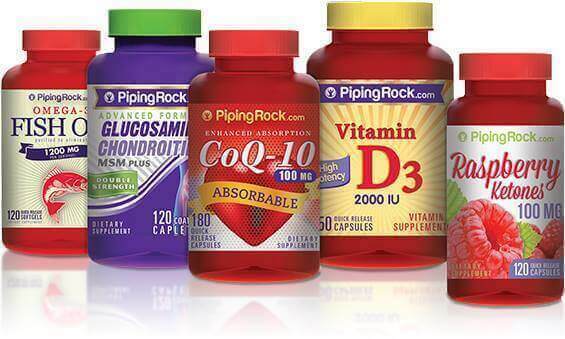 Additionally, this product is not meant to treat, prevent, and cure any kind of ailment, and do not replace any prescriptions with this product either. Please keep this product away from the reach of children and pets. Now that you are aware of everything that the Kesaradi oil can offer you, and if you are ready to purchase this product, you are probably wondering where and how you can do that? You can buy the iYURA Kesaradi Oil at the TheAyurvedaExperience.com for $40. If you purchase the product from the Ayurveda Experience, you will receive a free video course. You can also accumulate rewards for making various purchases which can be redeemed against your future purchases. You can also get iYURA Kesaradi Oil for FREE when you buy Kansa Wand for $65. The Ayurveda Experience offers international shipping and you can have oil shipped to global locations such as UK, Australia, India, or New Zealand. Currently you may not find it on Amazon or eBay. If you are considering to purchase the Kesaradi oil, you will want to see how it compares to 3 other products that offer the same benefits. If you are looking for Kesaradi oil alternatives to see how well they compare, you can take a look at 3 skin lighteners, moisturizes, and natural skin remedies. Purifect by Symphony Beauty - Purifect is another skin lightener and helps reduce the signs of aging, and helps improve skin texture. This product is vegan, however, it does not have as many antiseptic properties like the Kesaradi oil does. Therefore, this product may help restore your skin’s beauty, but it does not prevent acne or other infections from happening. Tea Tree Perfect Skin Facial Serum - This product is also meant to help your skin with lightening, anti-aging, and helps prevent acne as well. However, the difference between this product and the Kesaradi oil is that this product is not 100% natural like the Kesaradi oil is. This way, you know exactly what ingredients you are putting your face with the Kesaradi oil which is a huge selling point. Tarika Ayurvedic Rejuvenating Natural Night Oil - This product is effective for reducing wrinkles, lightening and brightening your skin, and has anti-acne properties. This product is mostly composed of saffron among a few other medicinal herbs. However, the Kesaradi oil has many more medicinal herbs and that said, it has a much more powerful effect when it comes to moisturizing, brightening and lightening your skin, and has more antiseptic properties as well. If you have been suffering from scarring due to acne, or adult acne and other facial skin conditions, then you no longer need to rely on OTC or prescription-based skin treatments that are not natural and are ineffective. The iYURA Kesaradi Oil is going to be your favorite choice. The Kesaradi oil is completely natural, and there are no odd chemicals that are added to the formulation. Not only does it provide skin healing, brightening, and moisturizing properties, but it gives off a lovely aroma. It is so easy to apply with either your hands or with a Kansa wand. Additionally, it will help you relax before bedtime so you can get your beauty sleep and wake up with beautiful and healthy skin the next morning. And, once you have been using the Kesaradi oil over a period of time, your face will be noticeably healthier, smoother, brighter, and you will be a lot happier and more confident.